Most people brush their teeth as part of their daily routine; however, it’s quite common for parents to struggle when it comes to getting their kids to brush their teeth. According to a 2014 study, over 30% of people don’t brush their teeth every day. This can lead to many oral and dental problems that can affect you throughout your life. Getting into the habit of daily brushing is important when it comes to your children. As your children grow and their teeth develop, it’s vital that you assist them with maintaining healthy teeth and gums. Brushing removes bacteria that can cause plaque, decay and damage to the teeth and gums, hindering development and potentially resulting in a lot of pain and discomfort. One of the easiest ways to encourage your child to brush their teeth is to invest in an electric toothbrush. These are reasonably priced, fun, engaging and full of features that can make brushing time fun. 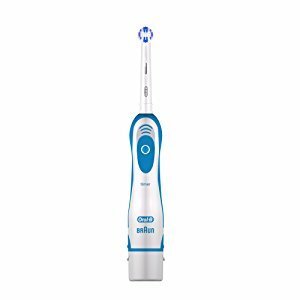 To start you off, I’ve listed my favorite electric toothbrushes specifically designed for children to give them the best experience possible. 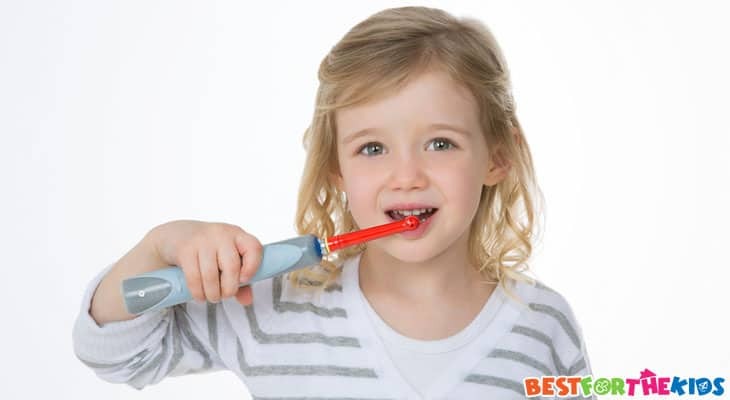 If you are not sure what you’re looking for when it comes to choosing the ideal toothbrush, my complete step-by-step buying guide will give you all the information you need to buy your child the perfect toothbrush. Ready to show your children that brushing their teeth can be fun? Here are my favorite electric toothbrushes that your children will fall in love with. Adding an element of fun and entertainment to brushing time is essential for encouraging your children to brush their teeth every day. With the Oral-B Frozen Toothbrush, your child will instantly be drawn to the fun Disney Frozen theme, adding that all-important touch of fun. This brush comes with the Disney Magic Timer App that’s available across a range of devices, which allows your child to brush their teeth alongside some of their favorite Frozen characters. The unique body of the toothbrush lets your child easily hold it, while the tip prides itself on a dynamic brush shape, allowing your child to completely surround each tooth, a necessary feature for accurate and precise brushing. The brush is made using Sensitive Clean technology, providing a soft brush that won’t damage your child’s teeth. What's Great About It: Thanks to the waterproof handle, you won’t have to worry about your child dropping and damaging this brush in the sink while brushing. It also helps to make cleaning the brush an absolute breeze! 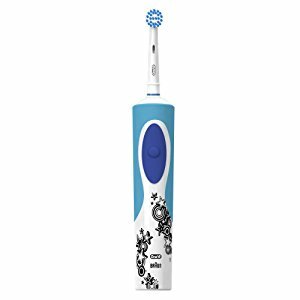 Designed for slightly older children, this high-powered electric toothbrush provides your child with amazing performance while remaining soft and protective. The body of this toothbrush is made using a special rubber handle. This provides optimal levels of grip to minimize the risk of dropping and damage. At the top of the toothbrush, you’ll find a soft yet durable brush that allows your child to keep their teeth sparkling clean. As with any brush, it becomes worn down over time with daily use. Once of the bristles are half worn away, it’s time to replace the brush top, which can be found in most stores. Each pack comes with one brush head and two replaceable batteries, allowing your child to use the brush straight out of the box. What's Great About It: Built into the body of this toothbrush is a signal that vibrates. When your child feels this vibration, it means they have brushed for two minutes, so you can rest assured knowing that the brushing has been effectively completed. 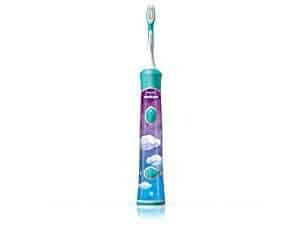 Suitable for kids aged 3 years and above, the Oral-B Pixar Toothbrush is as effective as it is entertaining. Your children will never dread brushing time again thanks to this unique and innovative brush, which is available in a variety of themes based on the Pixar Cars and Finding Dory franchise. The handle is designed to comfortably fit in your child's hands, and at the tip of the brush you’ll find a fully-rotating brush that lets your child accurately and efficiently surround each tooth with bristles, allowing for a full clean. Built into the brush, you’ll discover soft bristles that apply minimal pressure to your child’s teeth while brushing, but is still effective at removing plaque and germs. What's Great About It: In keeping with the Pixar themes, this toothbrush automatically selects one of 16 available tunes to play through the small speaker at the bottom of the body of the brush. The fun Disney songs include some of your child’s favorites, giving them the opportunity to dance along until they’re done. Sometimes, it’s best to get your child a fully functional toothbrush that will give them everything they need until their teenage years, getting them into the best routine. The Philips DiamondClean Toothbrush has been proven to remove 100% more plaque than manual brushing, while the thin neck and tip allows your child to target those hard-to-reach places. Incredibly, this toothbrush provides your child’s mouth with up to 31,000 brush strokes per minute, allowing your child to effortlessly glide the brush through their mouth as they remove all the build-up and bacteria. This brush is ideal for children who have their full set of teeth and want to protect both their teeth and gums. Included you’ll find two DiamondClean brush heads as well as a rechargeable battery pack, allowing the toothbrush to be used as soon as it comes through your door. What's Great About It: For a more personalized brushing experience, the body of this brush boasts a translucent illuminated display, allowing you to choose between six cleaning modes, which optimize brushing, whitening or freshening experiences. 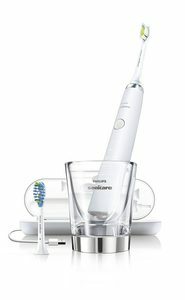 Expertly designed by one of the leading toothbrush brands, the Philips Sonicare Toothbrush provides your child with a fully interactive brushing experience. Using the market-leading Sonic Technology, your child can benefit from up to 500 brush strokes a minute, which is proven to be 75% more effective than the leading manual toothbrushes. The slim brush is securely fixed to the thin neck which allows your child to effectively access all those hard-to-reach places. Built into the body of the brush is the patented KidPacer alert, which gently vibrates in your child’s mouth to ensure they can move to the next area of their mouths at the right time. This allows them to effectively and methodically clean their mouth. The fun design on the body of the brush will engage your child, making their brushing time something to look forward to. What's Great About It: The free interactive app, which is available across a comprehensive range of smart devices, connects the toothbrush via Bluetooth. This app will entertain your child while brushing, teaching them the values of good brushing habits while ensuring they are accurately cleaning their teeth every single time. The app will even reward your child for completing brushing streaks, adding to the fun. There is a wide range of electric toothbrushes to choose from, and knowing which one is best for your child can be a confusing task. With the right information, you can make the best decision to make sure the condition of your child’s teeth is the best it can be. Follow my buying guide below for everything you need to know about electric toothbrushes. Children are prone to dropping things and when that happens, they may get damaged. Most electric toothbrushes that are designed for children are built to be as durable as possible, so they survive any drops or knocks. With that in mind, breakages do happen which is why most children’s toothbrushes will come with specially designed grips on the body of the brush. These grips allow your child to comfortably hold their brush which allows them to have full control over where it goes, so they can brush all those hard-to-reach places. When shopping for your child’s next brush, look for brushes with special rubber grips that will stay firmly and securely in your child’s hands. The battery life of your electric toothbrush is vital when teaching your children about the benefits of brushing. If a toothbrush dies halfway through brushing, it makes it impossible to keep brushing. To create good habits, you need to stick to the routine. With this in mind, buying a toothbrush with a long battery life is a must. Using the brush twice a day, most brushes will last a few days to a week on one charge. Make sure that your child returns the brush to its charger after every brush. If the toothbrush runs on batteries, be sure to keep a few backups, just in case. One other thing you’ll want to consider is the battery life on toothbrushes that have integrated displays, sounds or Bluetooth connectivity. The battery life is considerably shorter on these brushes, which are why it’s important to make sure you buy a brush with a rechargeable battery pack. On adult toothbrushes, you’ll find that the size of the brush is considerably bigger than that of a child’s. This is because their mouths are much smaller and getting to those hard-to-reach places can be extremely difficult. For children, the smaller the brush size, the better. The best way to know if a toothbrush is suitable for your child is to look at the recommended age range of the toothbrush before buying it. Some toothbrushes that are available from certain brands may have universal brush heads. This will allow you to choose the right head for your child’s age and can simply be replaced as they grow, eliminating the need to buy a new brush as they get older. Many electric toothbrushes will come with some sort of technology to assist your child in brushing. This can include things like pressure sensors, a small built-in vibration, or a flashing light that will signal when your child is pushing the brush too hard against their teeth. These are helpful features that allow you to monitor your child’s brushing technique, so you can prevent unnecessary damage. The other common feature on electric toothbrushes is a timer. The recommended length of a brushing session is two minutes. With built-in timers, you can be sure that your child is brushing for the correct amount of time, teaching them the best techniques possible. As all parents know, encouraging children to brush their teeth can be a difficult task. Many child-specific toothbrushes come with fun designs, patterns and themes that will entertain your child while brushing, adding that all-important element of fun. Some toothbrushes also come with built-in sound effects or songs, usually two minutes in length so your child can dance while brushing away to their favorite songs. Some of the more high-end devices come with Bluetooth connectivity. This allows you to connect the toothbrush to an app which shows videos and can track your child's progress and record daily streaks, making sure that your child is brushing when they should be, for the right amount of time. Brushing your teeth is an essential daily activity required for protecting and maintaining the health of your child's teeth. With healthy and clean teeth, your child won’t have to worry about potentially painful dental problems later on in life. By developing regular brushing habits from an early age, your child will be able to benefit from this routine for the rest of their lives.